Join my Book Signing Party! • Come join author Maria Mar for a fun Book Signing Party that’s totally out-of-the-box. • You can join from anywhere in the world through Skype. • Maria will be having red wine and 85% cocoa chocolate… her favorite treats. How about you? 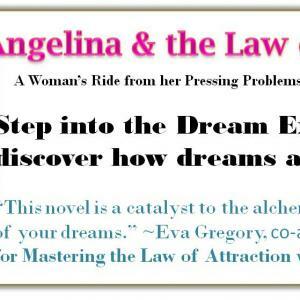 • Join a magical conversation that includes storytelling, women’s fiction, magic, secrets in the Law of Attraction, the juicy story behind the story of writing the book… and more. • Share your success and manifestation stories and ask your questions. • Get a especially dedicated autograph for you or a friend, and see Maria Mar as she writes it. • Then get it delivered to your email as a jpeg that you can print to a label, send to your tablet or to your friend. • Bring your friends! The more the merrier… and they can get a huge discount if they buy during the party. This is a provocative, humorous and uplifting spoken-word performance that combines interactive theater, poetry performance and a transformational journey. 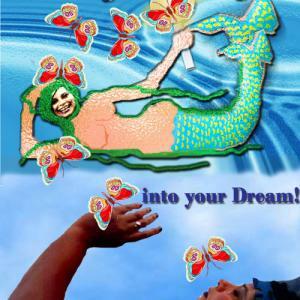 Created by storyteller-shaman Maria Mar (the Dream Alchemist) this performance has her trademark combination of liberating truth-telling, soul nurturing and refreshing humor. It is not a class. It’s nothing that adds more work to your to-do list. It is an entertaining show created specially for you as a woman. It is also a shamanic journey and ceremony to help you create the internal conditions for your success, happiness and embodied purpose. See Maria Mar playing different characters, interacting with her Inner Selves… even her Inner Caterpillar! You’ll get hearty laughs… but don’t be fool by the fun. There’s powerful transformation going on beneath the humor.